Assassin’s Creed 4 Black Flag gamers that are waiting to play the new Assassin’s Creed 4 Black Flag Freedom Cry DLC, will be pleased to learn that their wait is nearly over and a date for the DLC’s release has been spotted on a advertising poster for the expansion. The Assassin’s Creed 4: Black Flag story DLC Freedom Cry poster was spotted by Videogamer in the latest digital issue of Game Informer magazine and reveals that the expansion will be launching on December 17th 2013 on PlayStation 3, PlayStation 4, Xbox 360 and Xbox One consoles. 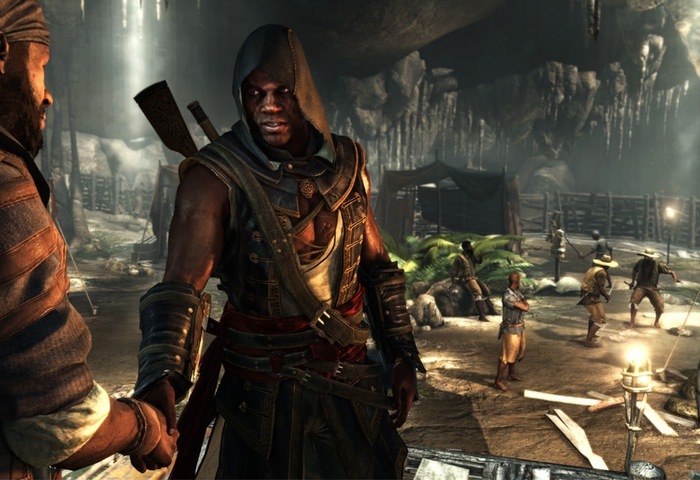 The Assassin’s Creed 4 Black Flag Freedom Cry DLC expansion is set several years after the events of Black Flag and it’s still unknown whether the update will arrive on PC systems.